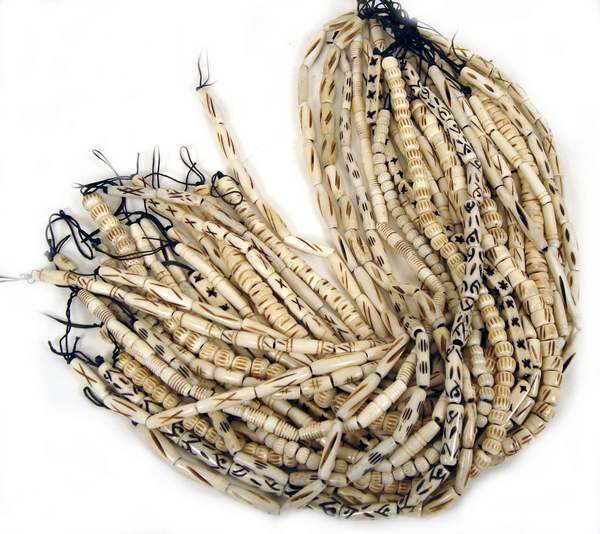 A variety of bone beads and embellishments to add to your gourd projects! All beads are drilled. *Bone products are a natural byproduct from the food industry. 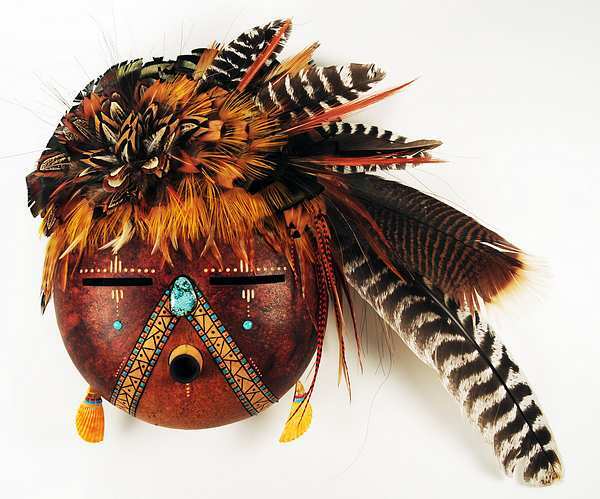 Fantastic embellishments for Gourd Masks and other projects! 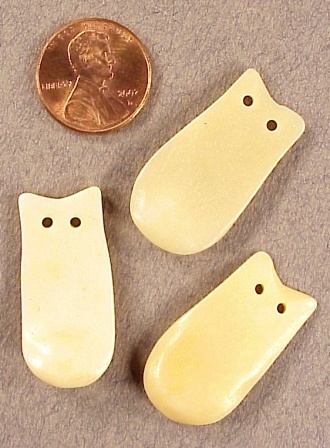 4mm Bone "washers". Strand of about 200 pieces. Available in antique white or coffee color. $2.50 per strand. 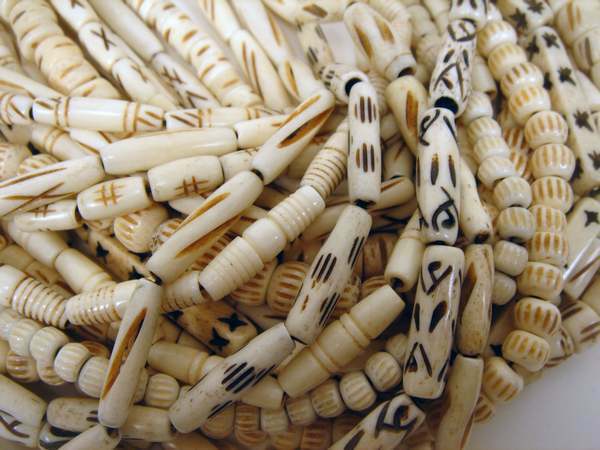 4MM Antique white round bone beads. Strand of about 100 $2.00 per strand. 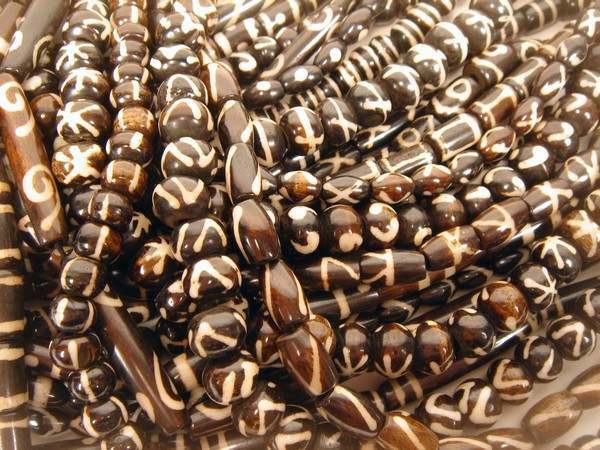 6 mm Antique white round bone beads. Strand of about 75. $2.50 per strand. These arrowheads are really nice quality. 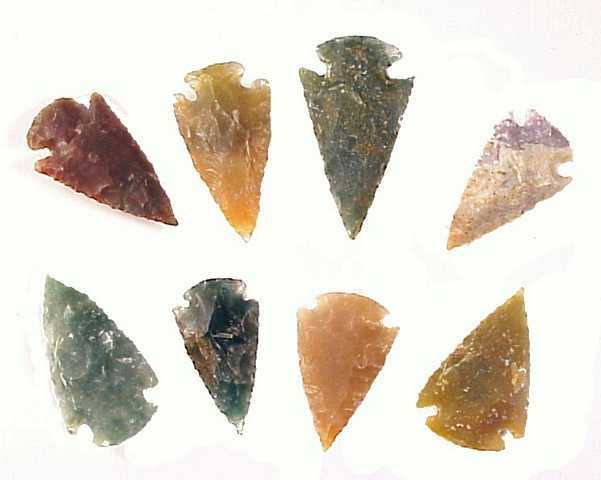 Each one is sharp and could actually be used on arrow reproductions. 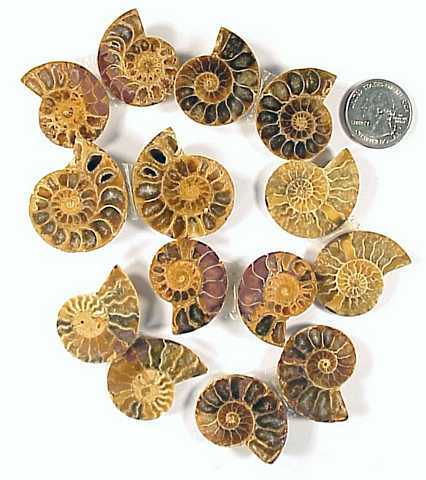 Each one is cut from agate, and no two are alike. The stone colors range from creamy tans and whites to jade green and brick red. Each one is about 1 1/2" in length. 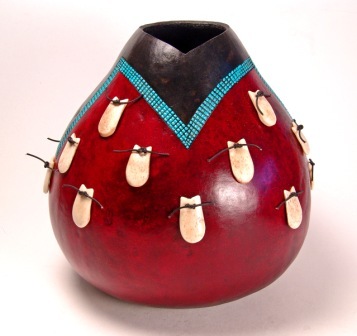 This gourd has an arrowhead accent. 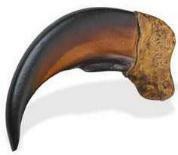 *Looking for Metal Cones, Conchos, Studs and other Metal items? 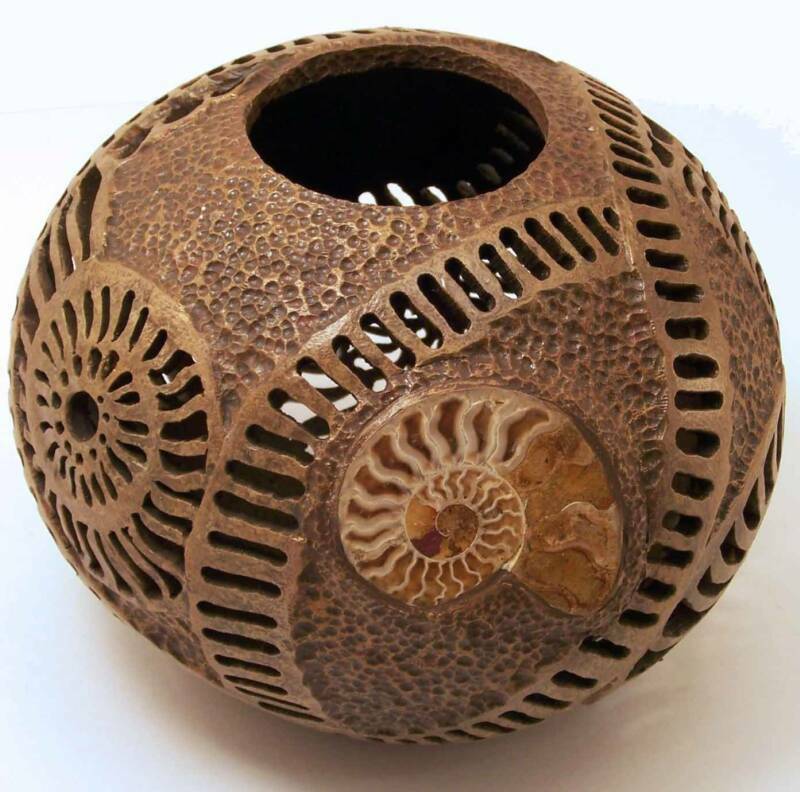 *Looking for Kits, Display items, Oil Candles, Dreamcatchers and miscellaneous items? 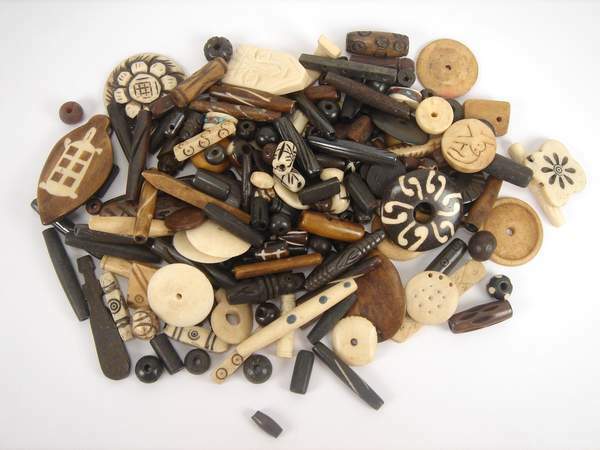 Bone "Mudbeads" These beads are made from bone (a byproduct of the food industry), and have been carved or decorated with a wax resist type decorating. Each one is different, see the closeup photos for detail. 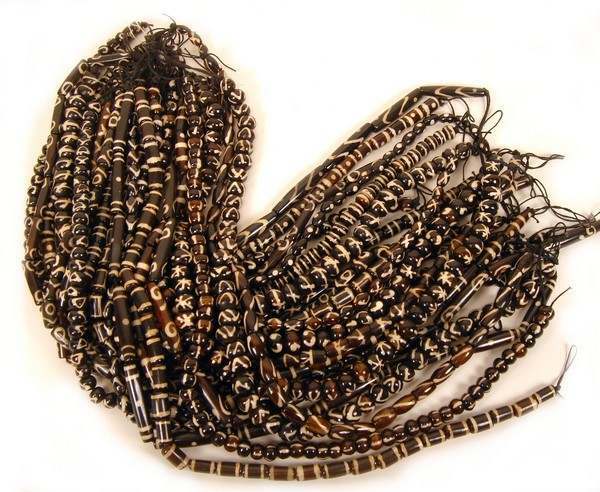 The strands are 16" long; the number of beads per strand varies. *Assorted styles and shapes. Please write if you have a special request. Here are some examples of the types of projects where you might use some of these special embellishments. NEW *Looking for Inlaid Earrings, Bone Feather Earrings, Shell Earrings, Stone Fans and other special items? To make each page load faster, these have been moved to a new page of their own! NEW *Looking for Inlaid Earrings, Bone Feather Earrings, Shell Earrings, Stone Fans, Agate Beads and other special items? 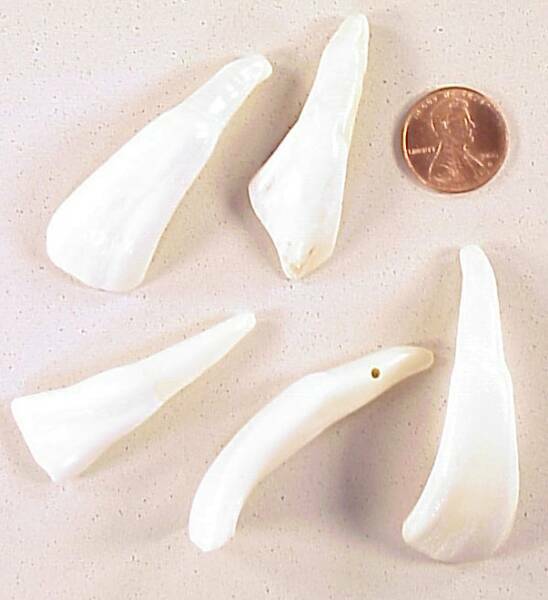 Buffalo Teeth - Drilled and ready for hanging from masks or to decorate gourd rims. These measure 1.5 to 2" and are of #1 quality. $6 per pair. 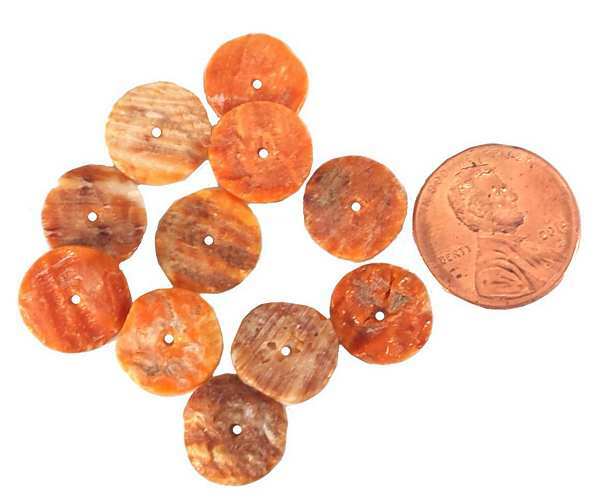 These shell buttons are large and impressive with beautifully subtle irridescent colors Each one is different. 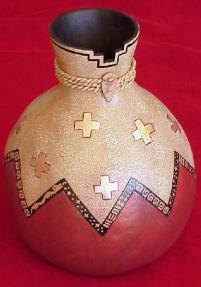 They are perfect for embellishing woven rims, tying on to Native American style projects, or on gourd masks. 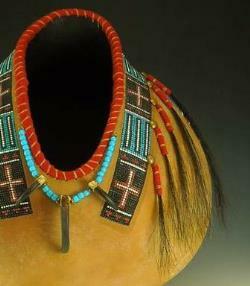 Horse Hair - This is an item that we are no longer able to obtain. When our current limited supply is gone we will have to discontinue this item. Order soon.